As Diabetes Awareness Month wraps up, we want to address a topic that is critically important for diabetic patients... foot care. People suffering from diabetes often have to deal with many painful side effects of the disease, with one of the most common being unhealthy feet. Poor circulation and painful skin sores are typical, and if left untreated can lead to loss of feeling and ultimately amputation in some cases. Oftentimes a doctor treating diabetics also will recommend seeing a foot specialists, such as an orthopedist or podiatrist, for frequent check-ups. "People suffering from diabetes may think managing diet and glucose levels is enough, but that is not the case," says Dr. Tim Gueramy. "We see a lot of patients who unfortunately neglect their feet, and amputation is sometimes necessary if the damage is severe." Check your feet daily. Look for any odd spots, cuts, swelling, or bruises, and use a mirror to check the soles and between toes. Keep toenails neatly trimmed, and cuticles pushed back. Consider having stubborn corns or callouses removed. Wear comfortable, properly-fitting shoes and socks. Discuss with your doctor whether you need special orthotic shoes, or maybe even compression socks to help with circulation. Wash your feet daily, and keep them moisturized. Heels are particularly prone to dry, cracked skin. Exercise your feet to keep the blood flowing. Wiggle toes and perform ankle rotations throughout the day, especially when seated for long periods of time. Contact your physician if you have serious cuts or abrasions on your feet, notice a change in skin color, or experience greater or lesser sensitivity to feeling. November is Diabetes Awareness Month. 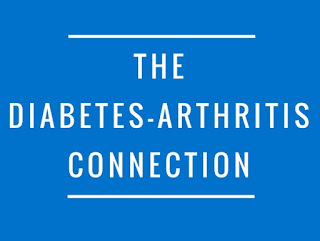 Although arthritis and diabetes are two very different diseases, they actually share strikingly similar traits. 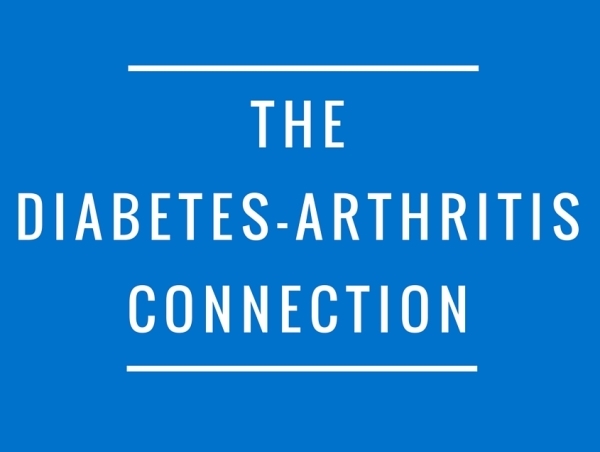 In addition, those suffering from diabetes are nearly twice as likely to become arthritic than others, suggesting there may be a diabetes-arthritis connection. Arthritis is caused by any number of culprits including age, autoimmune deficiencies, inflammatory issues, hereditary genes, and trauma. 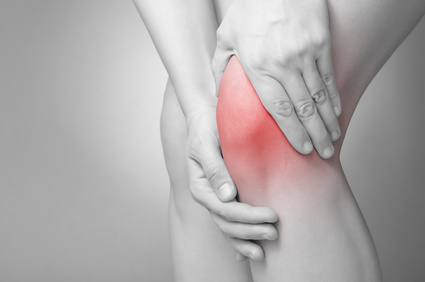 There are more than 100 different types of the disease, and it typically results in joint pain, stiffness, immobility, and severe swelling. Diabetes occurs when the body does not properly produce or utilize the hormone insulin. Insulin converts glucose from food into energy. Limited, or a lack of, insulin causes glucose to remain stagnant in the blood, leading to a sluggish of fatigued feeling. Along with sluggishness, joint pain is another common symptom of diabetes. Proper diet and exercise both go a long way in helping to manage arthritis and diabetes. For arthritis, try consuming foods with anti-inflammatory properties, and for diabetes, limit sugar intake and monitor glucose levels vigilantly. Staying active also can help keep affected joints flexible and promote healthy blood circulation throughout the body. (Adapted from The Arthritis Foundation). We've been getting quite a bit of questions lately about stem cell and Platelet Rich Plasma (PRP) injections for pain relief among many of our patients, including those with arthritis. As popular as these treatments have become, there are still a lot of inaccuracies about them - especially online. Texas Orthopedics' own Dr. John McDonald has provided some important information to help shed some light on stem cell therapy. There are multiple studies using animal models (pigs, sheep, dog, and rabbit) to evaluate the use of mesenchymal stem cells to treat focal cartilage defects. Nearly all of them found some improvement (often significant improvement) in cartilage regrowth. However, these stem cells are often embryonic or derived from a source (placenta) that we cannot use in the United States. Clinical trails are limited in this country. The existing studies compare existing treatment options for cartilage defects (microfracture, autologous chondrocyte implantation) to those treatments and add stem cells to them. The results are essentially the same. There are currently a multi-center human randomized clinical trial comparing microfracture to arthroscopically obtained (from the fat pad in the knee) fat derived stem cells with no microfracture. Results are likely several years away. The best data about stem cells for arthritis comes from Asia. 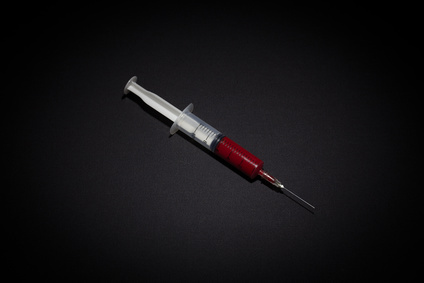 There are multiple studies that show injection of stem cells into an arthritic knee may induce new cartilage formation. These results were verified by surgical arthroscopy (with a camera) to look at the cartilage. Some caveats with the study: It took 100,000,000 fat derived stem cells in one injection to obtain these results and the number of patients treated was small (12). We don't have the ability to obtain this amount of fat derived stem cells in this country through simply harvesting from the fat pad in the knee. In summary, bone marrow derived and fat derived stem cells can be used to treat cartilage defects and arthritis due to an overwhelming amount of evidence of efficacy in animal models. However, human trials are lacking. The field of orthopaedic biologics continues to evolve. We will update you as new, impactful research becomes available. Click here for more information about stem cell therapy. PRP for Arthritis, Does it Work? Many active athletes, weekend warriors, and folks with arthritic joints have been asking about two treatments options for their pain: Platelet Rich Plasma (PRP) and "Stem Cells." Both treatment options have become increasingly popular, but at the same time, there's a lot of false information about them, especially online. For this reason, Dr. John McDonald thinks it's important to update patients. These procedures are also not covered by insurance, so we want our patients, who are eligible, to be well informed before undergoing such treatments. The focus of this information is on joint cartilage injuries, arthritis and focal cartilage defects (potholes in cartilage). First let's take a closer look at PRP. PRP comes from your own blood. Platelets are naturally found in your blood and help with clotting after an injury. They also have growth factors that can induce new blood vessel growth to help in recruiting other healing cells to an injured area. Why isn't PRP always effective? First we draw blood then it is 'spun' into a centrifuge to seperate out the platelet layer, which is then removed. Many different companies provide systems to do this, however, not all PRP is the same. The various systems that are engineered to harvest PRP also are able to harvest other cells. Additionally, the concentration of platelets per unit volume differs among systems. With that said, initial clinical studies on "PRP" have had mixed results because different systems test different types of PRP. For example, some PRP formulations contain a high number of leukocytes (white blood cells). These formulations are called Leukocyte Rich PRP (LR-PRP). Depending on the formation and condition we're treating, some patients may experience a positive response and some patients may actually feel MORE pain. It's important to discuss which formation is best for you. Click here for more information about what specific conditions some patients may see some benefits from PRP. 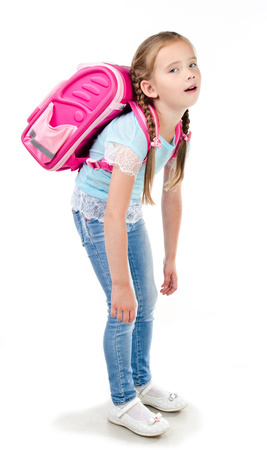 Dr. Bergin in Austin Family Magazine: How Heavy is Your Child's Backpack? How heavy is your child's backpack? If they are like most kids', it is too heavy. Books, pens, notebooks... kids' backpacks are packed! These heavy bags rob kids' energy that would be better used doing homework or playing sports and can also lead to aches and pains, accidents and other injuries. Dr. Barbara Bergin shared tips with Austin Family magazine on what parents can do to lighten the load. Here's a quick guide details exactly how much is too much. 40 lbs. 4 to 6 lbs. 50 lbs. 5 to 7½ lbs. 60 lbs. 6 to 9 lbs. 70 lbs. 7 to 10½ lbs. 80 lbs. 8 to 12 lbs. 90 lbs. 9 to 13 ½ lbs. 100 lbs. 10 to 15 lbs. Read the full article on the Austin Family website. 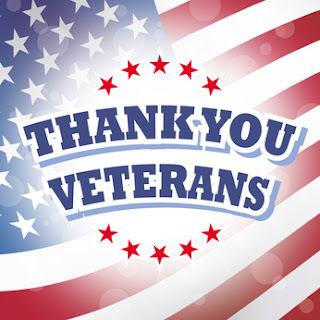 Texas Orthopedics salutes all of our nation's veterans on November 11. We are especially proud to honor those close to home. Right here at Texas Orthopedics, we have twelve doctors and staff members who have bravely served our country. We are so proud and thankful for your service. We have also treated many active and retired servicemen and women over the years, and it has been our privilege to do so. Please join us today in thanking our staff, and all of our patients, who have so selflessly served in the military. Texas Orthopedics' veterans, we salute you. Veteran's Day is celebrated annually on November 11, in conjunction with Armistice Day and Remembrance Day in other parts of the world, to commemorate the end of World War I.
AMD employees who ranged from elite athletes to 'weekend warriors' stopped by to hear Dr. John McDonald speak about common sports injuries and prevention tips. Dr. McDonald was invited to speak at AMD, one of Austin's largest tech companies, to discuss injuries that often occur among active adults. In addition to reviewing why sports injuries commonly occur and where on the body they are most frequent (the answer is the knee), Dr. McDonald touched on prevention strategies, including important stretching and strength training exercises. In a running cycling city like Austin, Dr. McDonald also addressed ways to avoid knee and ankle pain. He also discussed common golfing and tennis injuries. Dr. McDonald provided an important overview about some newer trends in exercising including high intensity interval training and newer treatment options, such as stem cell therapy and PRP (platelet rich plasma). Dr. McDonald's bottom line message to AMD employees: listen to your body and don't push through the pain. Do foam rollers work for aches and pains? Foam rollers have become a popular gym (and home) accessory these days. They are lightweight, portable, and come in a variety of colors and textures. But what are they for? And do they really work? These rollers are designed to literally "roll away" minor aches and pains, after a workout or other strenuous activity, producing a massage-like effect if done properly. They are most commonly used on the hips, quads, back and calves. Start with a slow roll across the muscle, moving every one to two seconds, until you reach a tender spot. Hold the roller in place for about 20 to 30 seconds until you feel the tension or pain release. Follow up your roll with some light movement or stretching to the affected area/muscle. Some fitness experts swear by rolling both before and after each workout to help prevent pain. Other people use foam rollers simply for stress relief. Check with your doctor before using a roller if you have a serious medical condition such as arthritis or osteoporosis. And make sure that you are rolling with the right intensity - rolling too aggressively could lead to injury. If you are experiencing any type of chronic or severe pain, foam rollers may not be adequate and you should see a doctor. Who's to Blame for Daylight Savings? Yesterday, most of us gained an hour of sleep because we set our clocks back for daylight savings time. 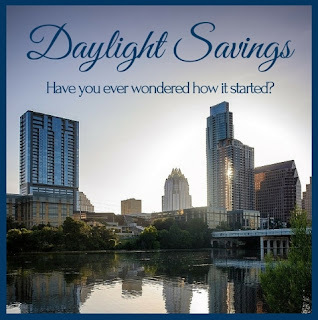 Have you ever wondered how this daylight savings practice came to be? "Falling" back an hour in the chilly months, and "springing" forward to welcome the warmer ones? Daylight savings is followed in most countries around the world, but not all of them. It was first introduced to America, in an elementary format, by founding father and inventor Benjamin Franklin, following his post as Ambassador to France. While there, Franklin suggested that Parisians ought to economize on candles by rising earlier in the morning to take advantage of the daylight hours. While Franklin was not the first person to propose this idea, he brought it back with him to America in the late 1700's. The modern format of daylight savings as we know it now was shaped at a much later date via input from many other scientists around the world. So if you're thankful for that extra hour of coziness under your covers in the dark you got yesterday, you can thank dear old Ben for it. Or... if you don't like it, you can consider moving to a state or U.S. territory that does not observe daylight savings, including parts of Arizona, Hawaii, American Samoa, Guam, Puerto Rico, and the Virgin Islands.